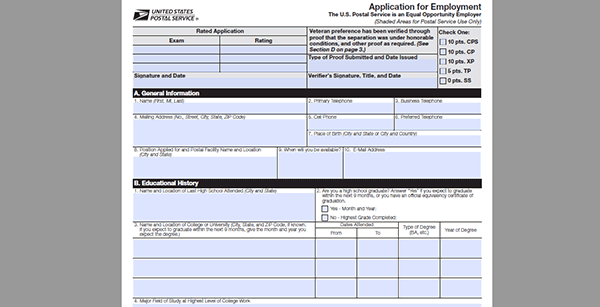 The USPS job application can be filled out online or offline (by printing it out – use the .PDF link above to download the form to your computer). Several different types of careers can be applied for including both corporate and delivery/operations positions. About the Company: The USPS is one of the world’s largest delivery services. The organization has more than 31,000 post offices in the United States. Step 1 – Click here to be taken to the careers page. Step 2 – Press the “Search Now” button as outlined below. Step 3 – Search by keyword, location, or functional area (i.e. 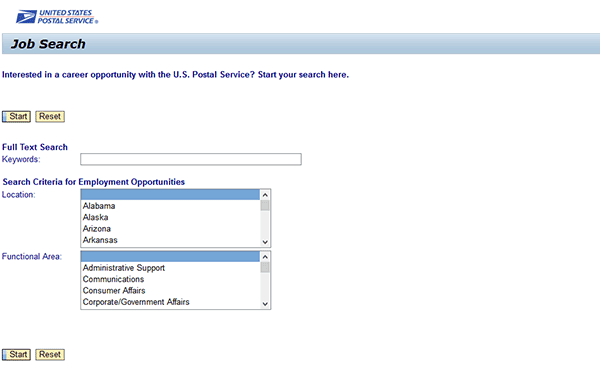 job category), press the “Start” button to begin the search. 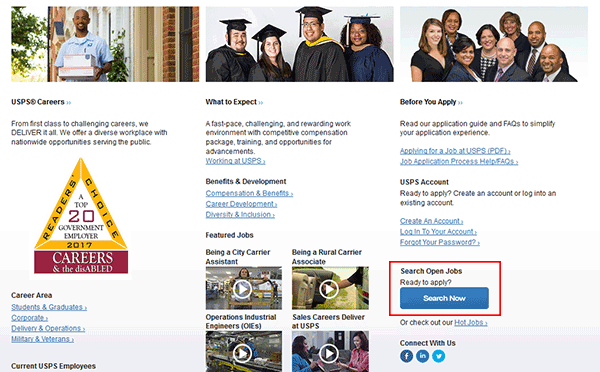 Step 4 – Select the jobs that you want to apply for (more than one job can be applied for at once), and then hit the “Apply” button. Step 7 – Work Experience – Submit answers for all of the required questions regarding your employment history. Note: If prompted, enter your work experience/history details. Step 9 – General Eligibility – Select yes/no for the required questions. Step 10 – Complete the questionnaire, and submit any other required details for the remaining subsections of the form. Step 1 – Download the .PDF file by clicking the button at the top of the page. Step 4 – Complete the remaining subsections of the application and then sign/date the document (at the bottom of the last page).